This is just a quick post. 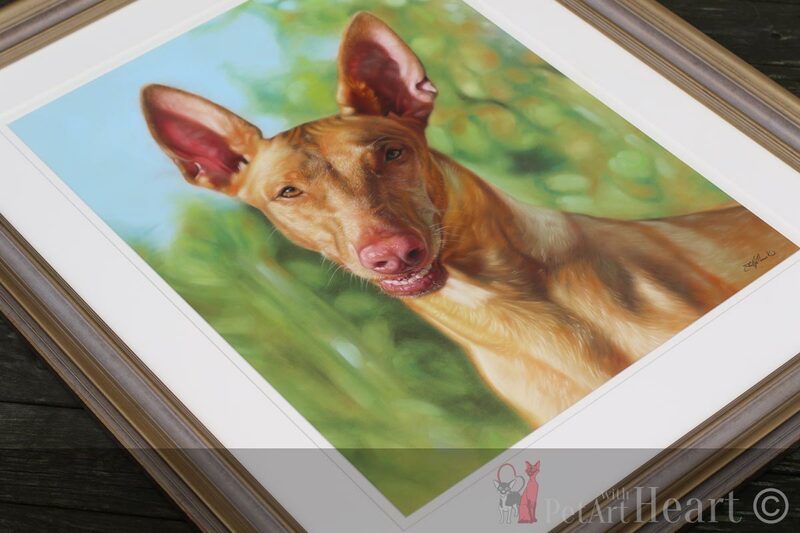 Yesterday I went to collect the pastel of Emerson, framed pet portrait pharaoh hound. I took a few photos of the final result today quickly outside, it’s raining allot these days so I was in a hurry naturally. The result is beautiful, large and impressive. 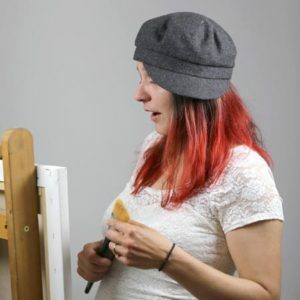 I just love the outcome of this one! 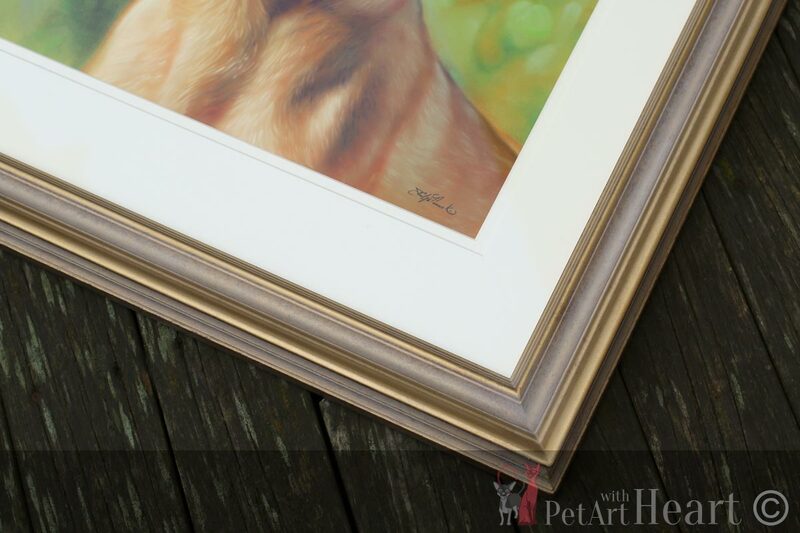 A lovely dog painted in pastel from a great reference photo framed with mouldings and Clearcolor glass of best possible quality, it can’t get any better than this. 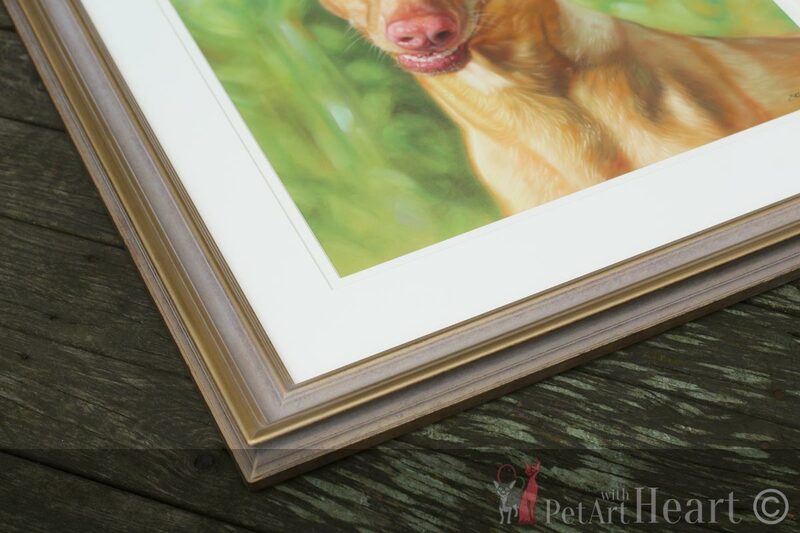 I will pack this portrait with hardboards as well as cardboards to make sure it arrives safely. Surely I will also use allot of bubblewrap.